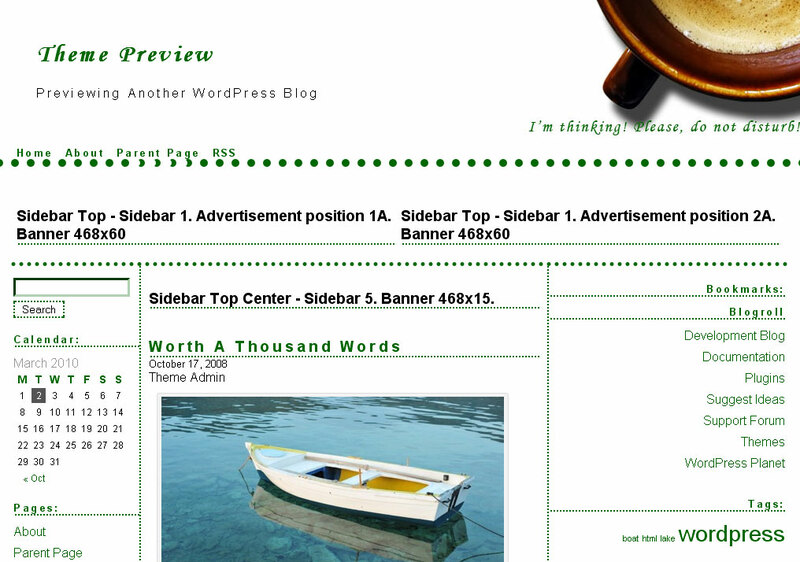 Fixed width 980px, 3 columns. 6 sidebars - top, left, right, bottom, top-center, bottom-center. Widget Ready, AdSense ready. Picture in the header changes dynamically according different time of the day.